By integrating with SAP SuccessFactors Recruiting, RecRight Video Interviews helps companies find top talent with ease and cost-effectiveness. Helsinki — 12.12.2018 — RecRight today announced that its Video Interviews tool is now available on the SAP® App Center, the digital marketplace for SAP partner offerings. 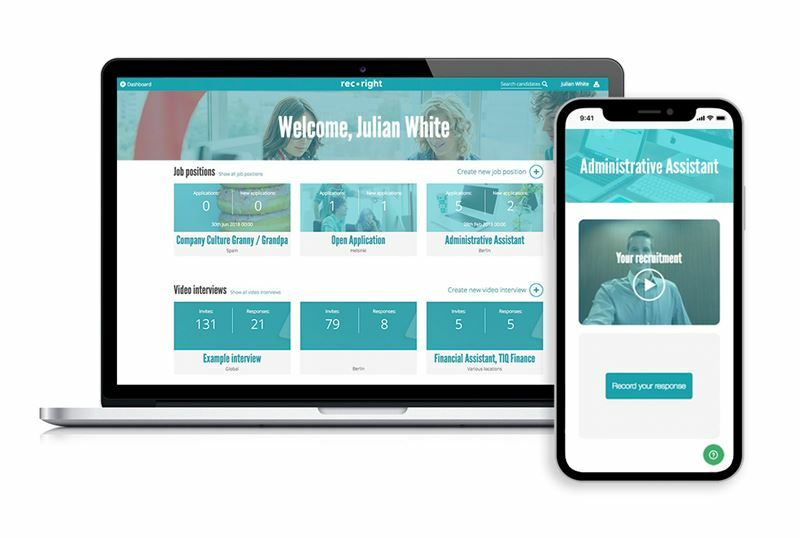 RecRight Video Interviews integrates with the SAP® SuccessFactors® Recruiting solution and delivers efficiency throughout the entire recruitment process as well as a smooth candidate experience for applicants. “RecRight is proud to partner with SAP. By integrating with SAP SuccessFactors Recruiting, RecRight can offer a more streamlined user experience for recruiters, while candidates enjoy a best-of-breed experience. We’ve already seen positive signals from the market on our partnership,” summarizes Riku Malkki, CEO of RecRight. RecRight is a partner in the SAP® PartnerEdge® program. As such, it is empowered to build, market and sell software applications on top of SAP Cloud Platform, the market-leading platform-as-a-service offering from SAP. The SAP PartnerEdge program provides the enablement tools, benefits and support to facilitate building high-quality, disruptive applications focused on specific business needs – quickly and cost-effectively. The program provides access to all relevant SAP technologies in one simple framework under a single, global contract.